I call these brownies “coveted” because in the many years I have been making them, I have probably been asked for (and have shared) the recipe around 25-30 times by various friends, family and colleagues. I really feel that brownies must be intensely chocolatey and also have some sort of treats within them; I can’t stand dry, bland tasting brownies that feel like you are eating a stale chocolate sponge. Therefore, triple chocolate chips are used throughout the intensely moist, chocolate-packed brownie mixture. They are so easy to make that at work I have shamelessly bribed numerous office workshops and group exercises with brownie-shaped refreshments. The last team that I worked with instigated a “brownie bake off” following my departure, to see who can make the best brownies in order to replace me – a compliment I’m sure! Over the years I have adapted Anthony’s recipe, but feel free to use either version (see below) and read on for a few tips I have learned along the way. 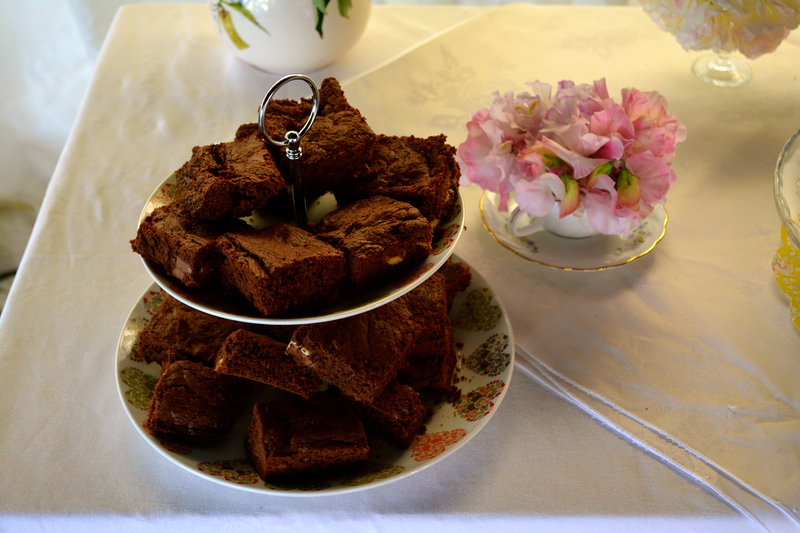 Firstly, I have never claimed that these brownies were low in calories, as I may do with some recipes, since a full 600g of chocolate are required to make these little beauties. 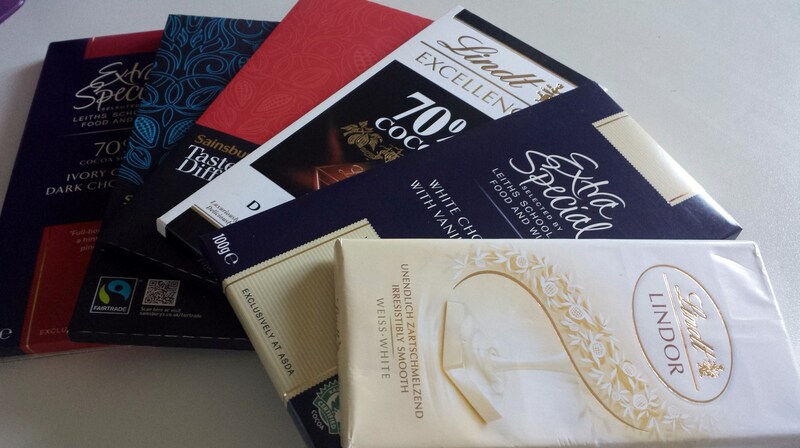 My biggest tip would be to use good quality chocolate (minimum 70% solids dark chocolate and decent white chocolate), it truly does make a difference to the richness and taste of the finished product. Secondly, follow the recipe. Whilst I do not often stipulate the order in which ingredients should be added, the ingredients in this recipe must be added in order due to the heat of the butter/ chocolate mixture at the start. You want to stir the sugar in whilst the mixture is still hot, however you must wait for it to be cooled with flour and eggs added before adding the chocolate chips, otherwise they will melt before cooking and end up a squidgy mess (and not in a good way!). 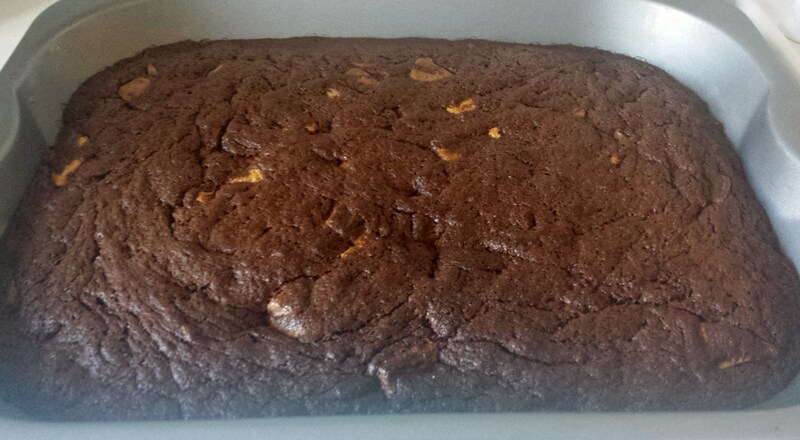 Thirdly, trust your judgement when deciding whether the brownies are sufficiently cooked. This can be a bit tricky, but make sure that the top is firm and only moves a little if you shake your hand whilst pressing lightly onto it. Unlike a sponge, it is fine for the mixture to still be a little moist after cooking since they will solidify as they cool. Fourthly, these chocolatey treats are great cooked just before guests arrive, since they will fill any space with powerful cocoa aromas. Good enough for a true celebration as well as a tough workshop, they were recently requested for a wedding by my great friends Vic and Rowan as part of the dessert table I made for them. 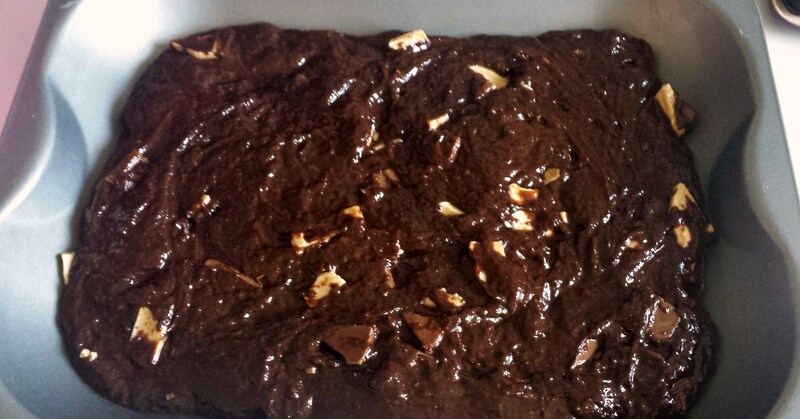 Cut brownies into squares whilst still warm but wait until cool to remove from tin. I tend to trim any crisp edges. Hey – I wanted to make brownies for the office, laura recommended I try your recipe.. Think I may have over cooked a touch but the inside is still gooey, hooray! Thank you!